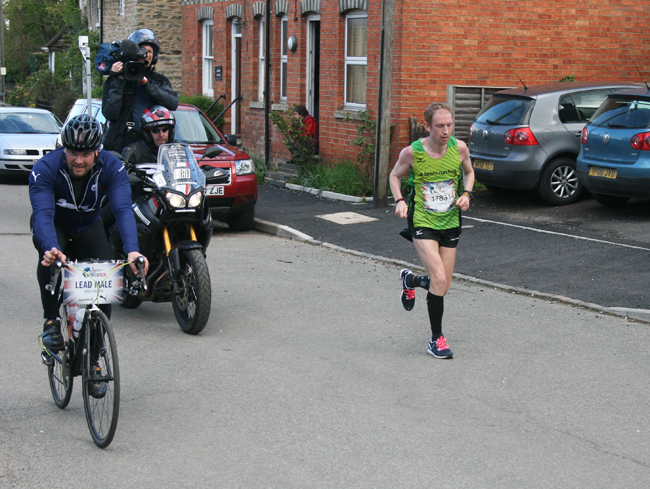 On Sunday afternoon 3rd May, Little Street and Helmdon Road in Sulgrave were temporarily closed to other traffic whilst the remaining runners in this year’s “Wings for Life World Run” passed through the village. This event, which raises money for research into spinal cord injury, involves runners starting “en masse” at Silverstone Motor Racing Circuit and following a route through the lanes and villages of South Northamptonshire. Thirty minutes after the start they are slowly followed by a “catcher car” and each runner drops out when he or she is caught. The last runner to be caught is declared the winner of the UK event. Similar runs take place at the same time in many other countries and the competitor who covers the longest distance is the world winner. See more details and pictures on the following page. Thomas Payn, the winner of the UK event, runs effortlessly up Little Street having already covered 48 kilometres since leaving Silverstone. He was eventually caught after 61.09 kilometres. Another picture of Thomas Payn, who was 23rd in the world rankings. 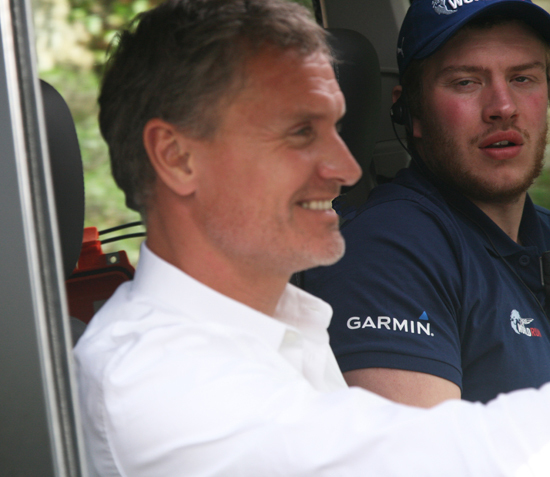 See here for more details of the epic run by Thomas Payn. 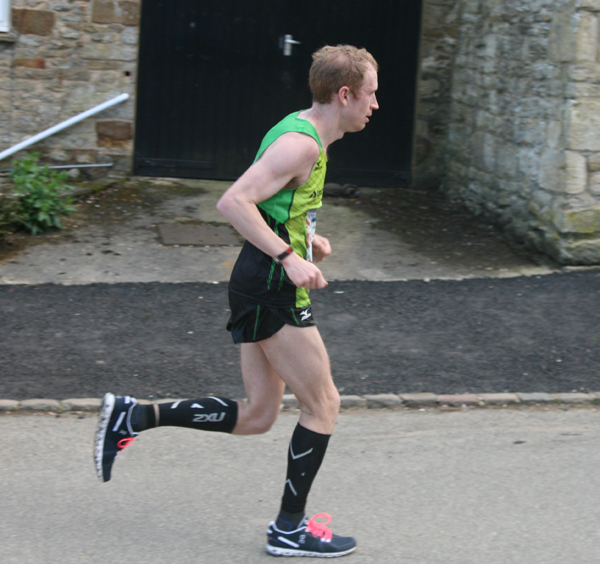 The only other runner to pass through Sulgrave before being caught was Cole Stone, who covered 49.09 kilometres. This is the “catcher car”……. 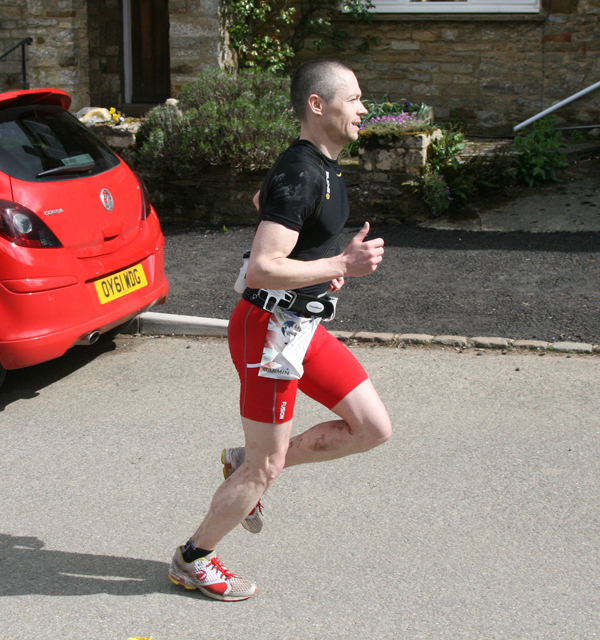 ….appropriately driven by a former Silverstone British Grand Prix winner! This entry was posted on Tuesday, May 5th, 2015 at 5:50 pm	and is filed under News. You can follow any responses to this entry through the RSS 2.0 feed. You can leave a response, or trackback from your own site.